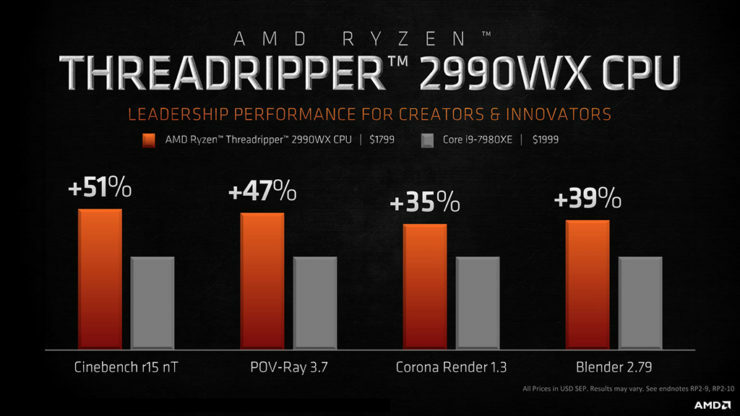 AMD today announced its Second Generation of high performance Ryzen Threadripper desktop processors (HEDT), offering a top-of-line processor that reaches 32 cores and 64 processing threads using the Zen + architecture manufactured on 12nm process node. 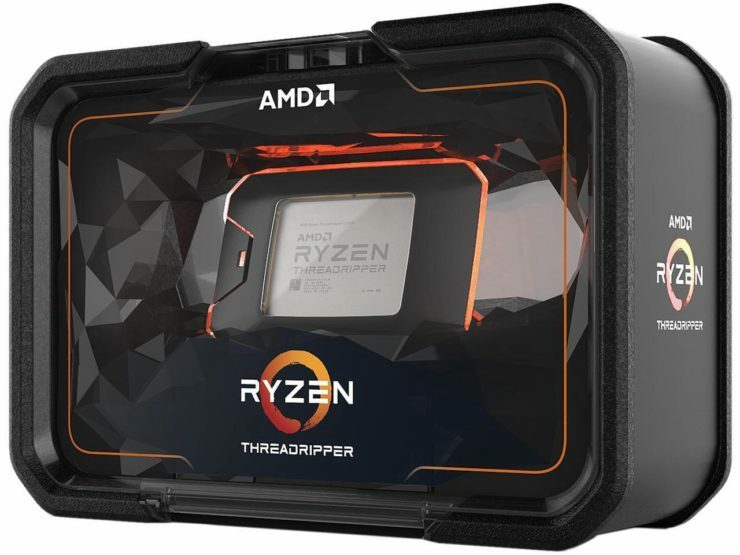 The family is made up of four models, the Ryzen Threadripper 2990WX, 2970WX, 2950X and 2920X, which cover from 12 cores and 24 processing threads in the most basic model and up to 32 cores and 64 threads in the top model. With regard to prices, the most basic model costs $ 649, up to $ 1,799 for the flagship model. 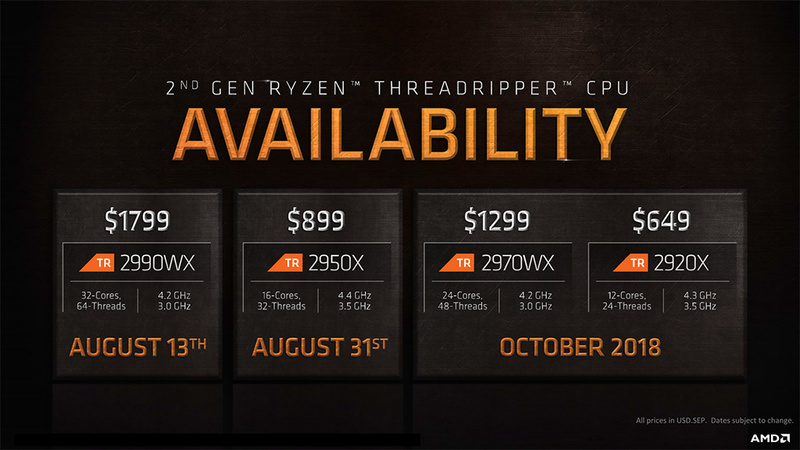 The AMD Ryzen Threadripper 2990WX will be the first to arrive, on August 13, followed by the Threadripper 2950X, on August 31, and the Threadripper 2970WX and 2920X for the month of October. 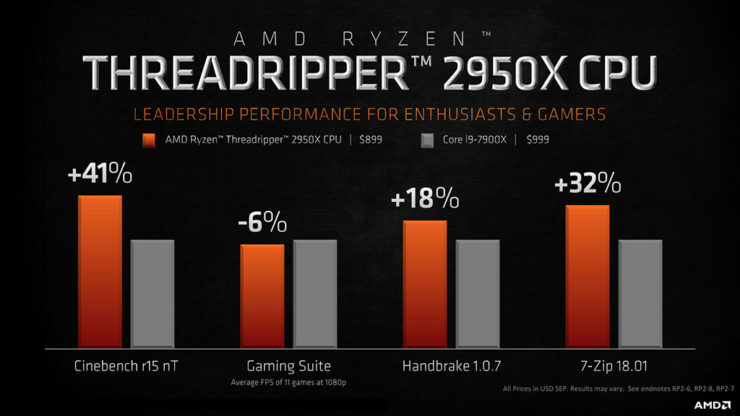 All these processors have 512 KB of L2 cache per core, make use of XFR 2.0 technology, Precision Boost 2.0, and a Quad Channel DDR4 memory controller @ 3400 MHz in addition to supporting up to 2048 GB of RAM ECC.